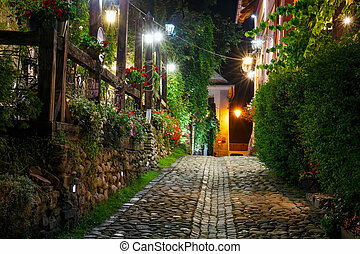 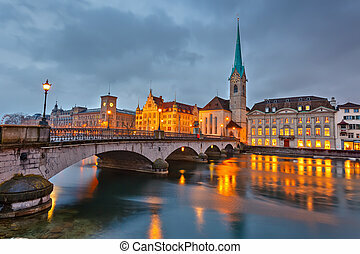 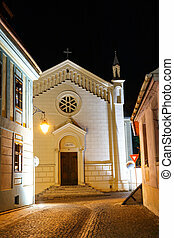 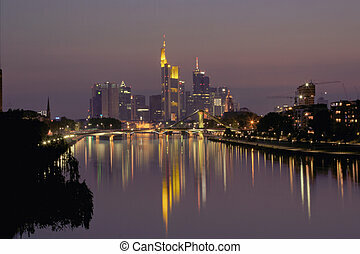 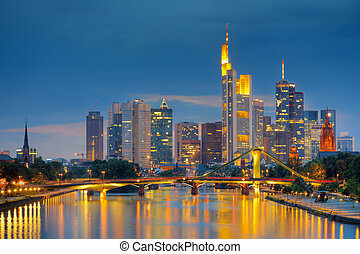 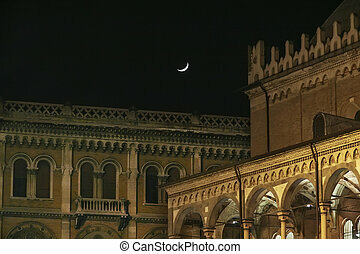 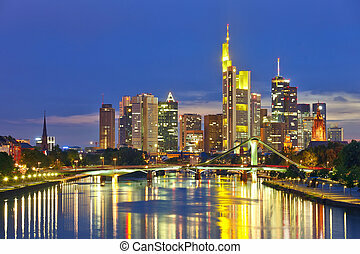 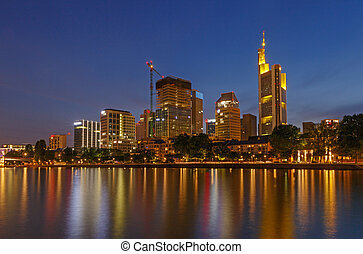 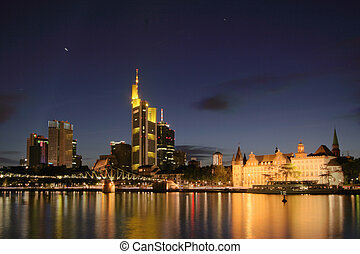 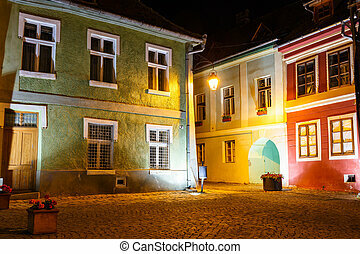 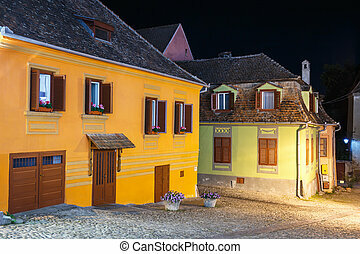 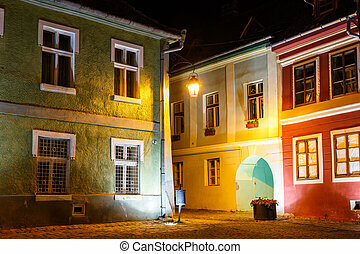 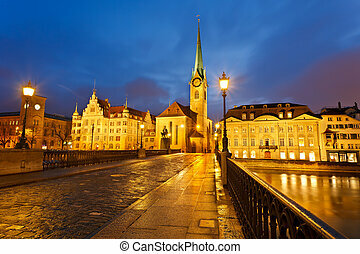 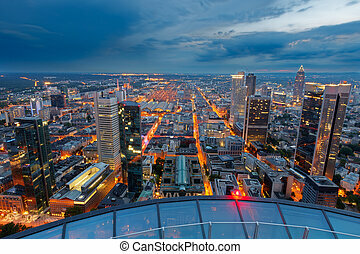 Historic center of frankfurt at night. 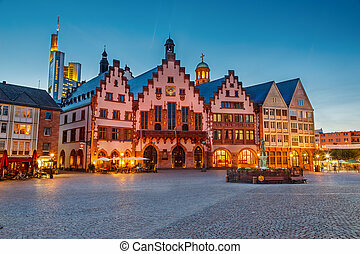 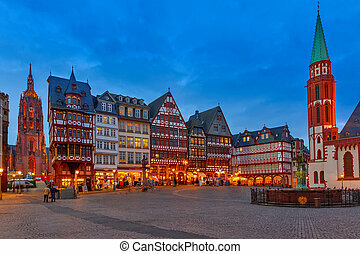 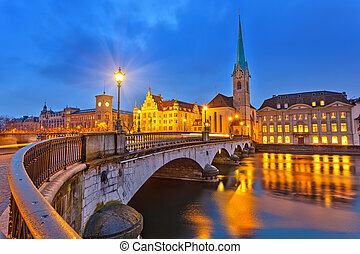 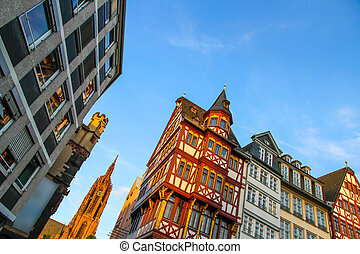 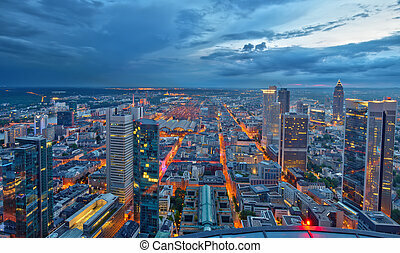 Historic center of frankfurt at dusk. 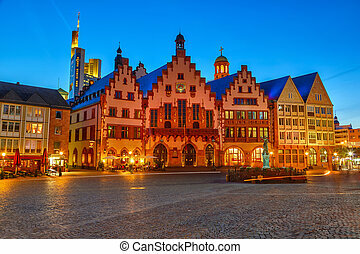 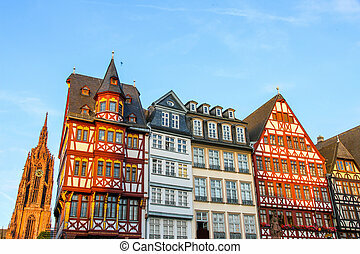 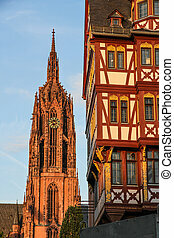 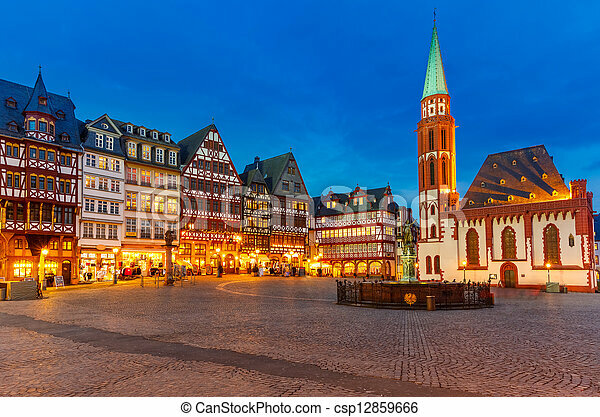 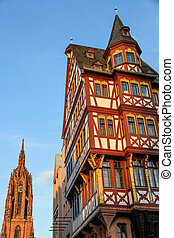 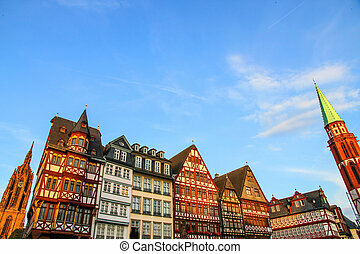 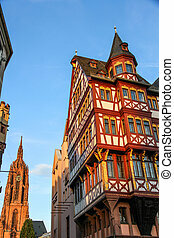 Historic center of Frankfurt am Main in Hessen, Germany with the Cathedral in the background.